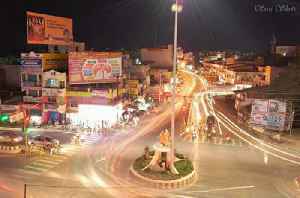 Dharmapuri is a city in Kongu Nadu region in the western part of Tamil Nadu, India. The city is located at 126 km from Bangalore, 200 km from Coimbatore, 260 km from Mysore, and 300 km from Chennai. It is located between latitudes N 11 47’ and 12 33’ and longitudes E 77 02’ and 78 40’. The total geographical area of Dharmapuri District is 4497.77 km2, that is, 3.46% of Tamil Nadu. And it is one of top leading Mango cultivator and producer of state.